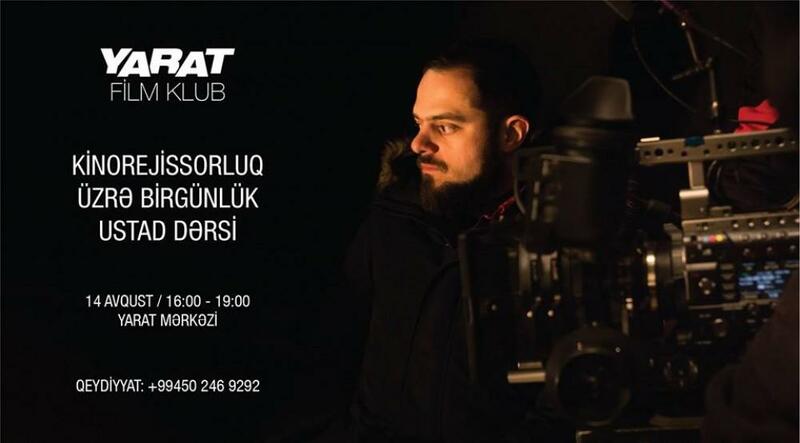 YARAT Contemporary Art Space will host one-day master classes on filmmaking on August 14. Children and adolescents aged 10-15 can participate in classes organized by Javid Zahidov and Rafiq Hajiyev, Azertag reported. If you are interested in filmmaking, join intensive summer course. Within three hours, you'll learn the basics of writing scenarios, work with the camera, and learn assembly rules. Also, each participant will be able to make a story and turn it into a short film. It realizes its mission through an on-going program of exhibitions, education events and festivals. YARAT facilitates exchange between local and international artistic networks including foundations, galleries and museums. YARAT comprises YARAT Art Centre, ARTIM Project Space, YARAT Studios, YAY Gallery and an extended educational and public programme. The Museum of 20th-21st Century Azerbaijani Painting was founded by the Heydar Aliyev Foundation. It presents works by both prominent and lesser-known Azerbaijani painters from State Collections, such as the National Picture Gallery and the Museum of Modern Art. From 2018 onwards YARAT was commissioned to present a series of exhibitions with the works from the collection and to organize a public programme of events running throughout the year.